The City of Ekurhuleni (CoE) has vowed to sue a former employee, a deceased former employee’s estate and a printing tender service provider to recoup more than R22 million in alleged losses. A final forensic investigation report, compiled by Makanaka Risk and Advisory Services, into the managed print services (MPS) tender awarded by the city recommended that the municipality pursue DataOpt, former head of operations Vincent Willie and a deceased former employee’s estate to recover R22 253 144.83 in losses incurred. 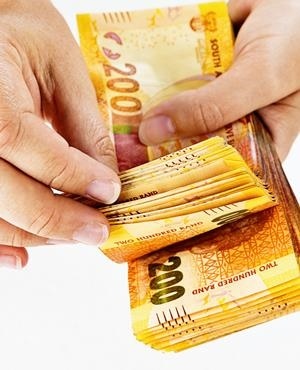 This latest development in the bitter dispute between DataOpt and the CoE comes after DataOpt managing director Thabo Rapodile initially accused the municipality of allegedly cancelling his tender because he allegedly refused to pay a bribe of R300 000 per month, solicited through a local politician. Rapodile subsequently reported the matter to the Hawks. The municipality at the time dismissed the allegations. According to the recommendations contained in a confidential report, a copy of which City Press has seen, legal action should be launched against the three implicated parties to recoup the amount because of the alleged role they played in the implementation of the three-year tender project, budgeted at R36 million. The tender was terminated within a few months. "This opened gaps for human error and manipulation of hardware readings, which resulted in the CoE suffering a loss of R22 253 144.83. Mr Vincent Willie resigned from the CoE. The city should consider taking legal action against him in his personal capacity and recover the monies that it lost," reads the recommendation. The report also implicated the now deceased project consultant tasked with managing the MPS project for, among other issues, failing to minimise costs for the municipality and for not identifying that DataOpt had changed the tender specified rates. It further recommends that the municipality’s legal department should consider pursuing the deceased employee’s estate. City Press wasn’t able to get in contact with the deceased former employee’s family or representatives for their response. The report recommended a lawsuit to recoup money from DataOpt. It also states that efforts to interview Rapodile were fruitless. However, City Press has seen email correspondence that shows that Rapodile did not entirely refuse to be interviewed, but did refuse a request for an interview because he considered it too last minute. The correspondence shows he agreed to a meeting at a later date. “We have never refused to cooperate because we were not invited, questioned or afforded the opportunity to comment on the investigation or report to date,” Rapodile told City Press. The report is also mum on efforts to interview Willie. When contacted by City Press, Willie confirmed that he has never been contacted by the municipality and was in the dark about the issue. In response to questions on the matter, the municipality reiterated that Rapodile did not cooperate with the investigation and further said Willie could not be located. Zweli Dlamini, spokesperson in the office of the Ekurhuleni city manager, said: “The documentation at our disposal was enough to determine his role as the division head of the department. “Our reading of the report suggests that there was collusion between Mr Willie and the service provider in regard to criminal behaviour in the implementation of the project. Dlamini also said the three parties would be sued jointly to recoup the money. The municipality also allegedly withheld approximately 500 DataOpt devices despite having cancelled the contract, an allegation the municipality denied, saying the company was never prevented from collecting its machines.